Reversing Falls Sanctuary joins Acadia National Park in its Centennial Celebration 2016 with this exciting project - Acadia: Nature as Teacher. The environs of Acadia National Park have attracted artists and writers since before the park’s inception in 1916. 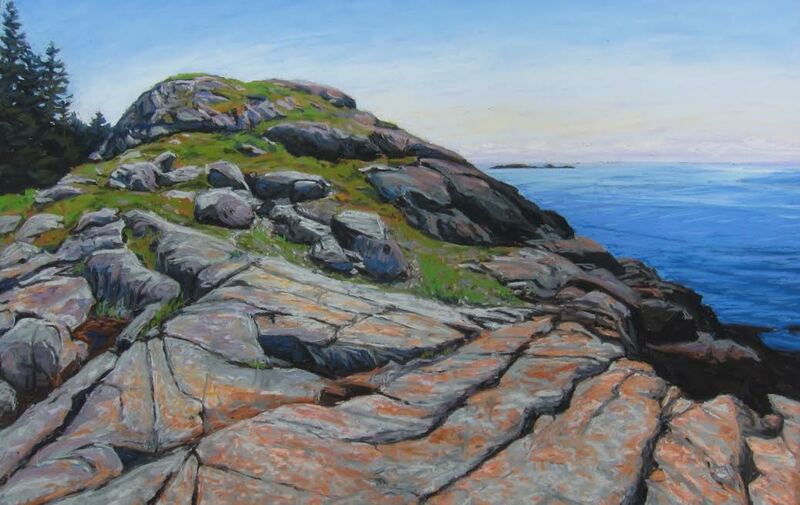 From nineteenth­ century painter Frederic Church to the park’s first poet­ laureate, Christian Barter, named in 2015, a wide range of creative acolytes have been influenced by the sublime natural world of Acadia. Acadia: Nature as Teacher advances RFS’ mission to encourage spiritual exploration, support the arts, heighten ecological awareness and build community. We hope you will follow our blog and join us at our exhibit and reading this summer.